Imperial Porcelain Factory has developed a new tea set "Aida." Limited edition introduced the opera diva Anna Netrebko. The world premiere of the new limited edition porcelain held in December 2016, where Mozart worked great - in the Austrian Vienna. 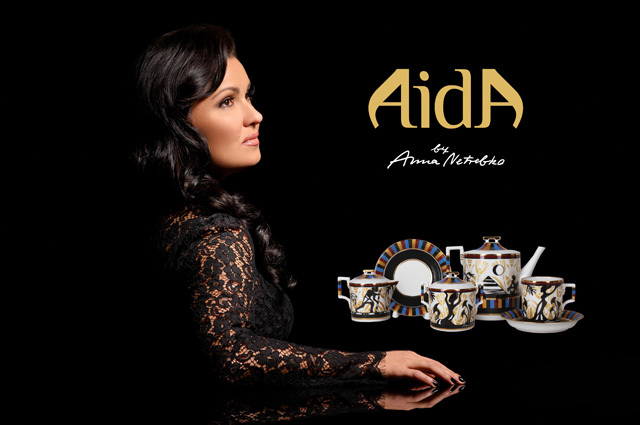 Tea Set "Aida" - the first joint project of Anna Netrebko with the Imperial Porcelain Factory, which is one of the oldest companies in Europe. Experts have already called this limited tea set unprecedented in its kind. In addition, experts note the high value of this collection for the cultural image of Russia. "I am deeply honored to release collection in collaboration with the Imperial Porcelain Factory. For several centuries, its craftsmen create works of art that I do not get tired to admire. I'm happy to present my first collection "Aida", created in collaboration with one of the largest porcelain manufactories of the world, and to contribute to the history of modern porcelain"- noted opera diva. 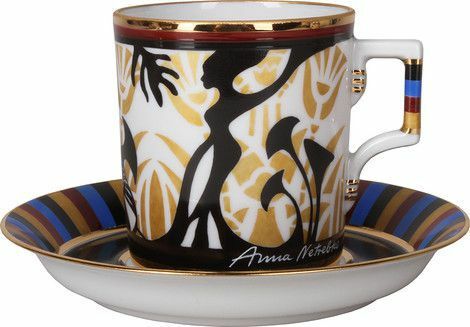 Tea set Collection of Anna Netrebko is designed for 6 people and includes tea, sugar bowl, milk jug and six cups and saucers. All products are made according to the sketches, personally created by opera star. The service's "Aida" will be released in two versions - Limited Edition and Exclusive Limited Edition. In a series of Limited Edition will be produced 1500 copies in the technique of the decal with a manual study of details by the best artists of the Imperial Porcelain Factory. More luxurious line Exclusive Limited Edition will be a limited edition of 50 sets, and each item is hand painted. 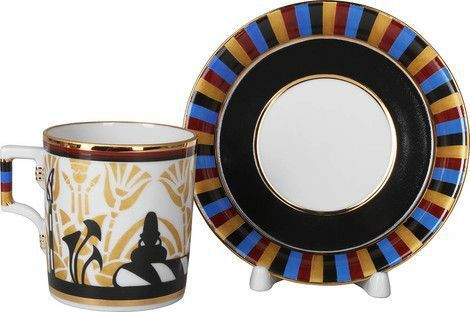 Design of both series of porcelain from Anna Netrebko has the same picture, but different background: luxury golden hues in the Limited Edition version and a whole palette of cobalt blue to the color of sand in the version Exclusive Limited Edition. Each group will be assigned a number and certificate of authenticity and exclusivity of the product. Anna Netrebko - one of the greatest opera singers of our time, People's Artist of Russia, laureate of the State Prize of Russia. First among musicians from the world of classical music included in the rating of the most influential people in the world «Time 100," the magazine «Time», Anna is one of the most sought-after opera singers in the world. In collaboration with the Imperial Porcelain Factory Anna Netrebko appears in a new and unexpected role of an artist. 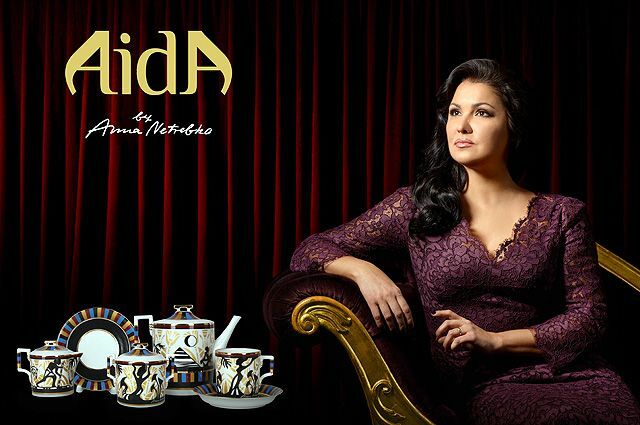 Limited service "Aida" by Anna Netrebko and the Imperial Porcelain Factory is available for pre-order on the official website of the project. After the presentation in December 2016, the service will be exclusively represented in the cabin Imperial Porzellan Wien - the official partner of the Imperial Porcelain Factory in Austria.